CPME is the joint venture company setup between CP Manufacturing and Ken Mills Engineering to provide European MRF and Equipment sales, aftersales, servicing and spare parts to MRF’s and Equipment supplied by CP Manufacturing, Ken Mills Engineering (KME) MSS, Krause and Advanced MRF. CP Manufacturing, California, R&D, design, manufacture install plants for Kerbside Dry Recycling (KDR, DMR) Commercial & Industrial (C&I), Municipal Solid Waste (MSW) as well as RDF, SRF and Mechanical Treatment to Mechanical Biological Treatment (MBT) facilities. MSS, Tennesse, Near Infra Red optical sorting systems (NIR), R&D, design, manufacture. Krause, Washington, Construction & Demolition (C&D) plants, design, manufacture. UK Company formed with Ken Mills Engineering to strengthen our position both in and provide European based after-sales-support, Technical support, Servicing and hold spare parts for immediate dispatch. CP Europe, European Engineering Sales. CPME was formed in 2009 as a joint venture to provide European Engineering sales, aftersales and servicing for CP Group companies and Ken Mills Engineering. 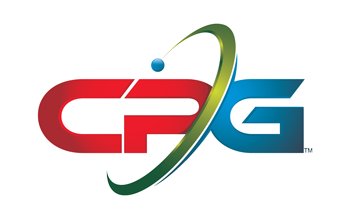 The CP Group of companies is seven companies all owned by CP Manufacturing Inc which is in turned owned by IMS. 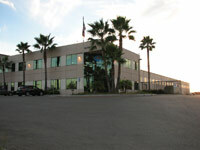 IMS was founded as a scrap metal company in 1954 by Charles M. Davis and is still owned by the Davis family. IMS continues to trade in metal today with additional facilities including three automated WEEE plants as well as our own commercially operated MRF processing material for the city of San Diego, California. In 1977 Charles Davis formed CP Manufacturing Incorporated when he invented the first Aluminium Can Flattener – CP Manufacturing still manufactures the Can Flattener today, now known as the Can Densor. CP Manufacturing continued to grow, developing new technologies as well as acquiring other MRF technology companies that would complement its own. These acquisitions included MSS with their Near-infra-red (NIR) optical sorting technology, IPS Balers, Krause Manufacturing with their expertise in Construction & Demolition MRF’s as well as Advanced MRF control and intelligent systems. With over 30 years in the recycling industry the family run Ken Mills Engineering are recognised as a successful and respected MRF equipment and plant builder. With a wealth of experience and UK based manufacturing facilities encompassing the latest in manufacturing technologies KME are able to develop, design, manufacture, install, commission and support all sizes of projects from a few conveyors to a full automated MRF sort system.